Slovakian reported to be joining up with ambitious Liga 1 side Astra Giurgiu. 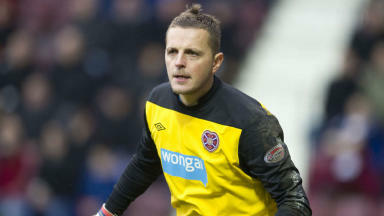 Former Hearts goalkeeper Marian Kello is set to return to football in Romania. The Slovakian internationalist departed Tynecastle in unusual circumstances last season after he was frozen out following rejecting a move to Austria Vienna on the last day of the January transfer window. 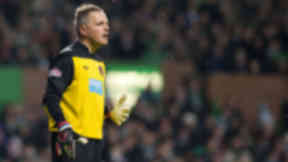 Kello was told he did not figure in Hearts’ future plans and was left out of successive squads before being given a free transfer in April. Following interest from Celtic, Aston Villa, Ipswich Town and Wolves, Kello appears to have finally found a new club in Romania. According to reports in the Romanian football media, the 30-year-old will sign a deal with Liga 1 outfit Astra Giurgiu on Friday. 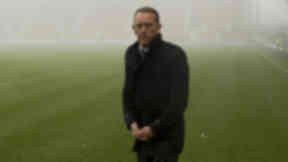 Website ProSport.ro stated on Wednesday that Kello would be one of four signings sanctioned by Astra president Ioan Niculae this week. 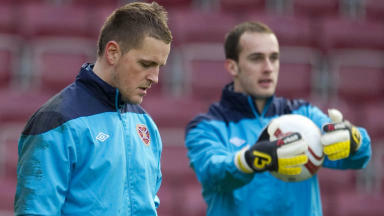 Kello joined the side on trial ten days ago and has clearly impressed manager Gheorghe Multescu enough to earn a deal. Earlier this month, ambitious owner Niculae moved the club from its home of 76 years, the town of Ploiesti, to Guirgiu, 40 miles south of the capital Bucharest. Kello’s new team are currently third in the table after nine matches, just two points off leaders Steaua Bucharest.